2010 February » Embroidery Talk Has Moved! Converting from one thread manufacturer to another may be one of the most stressful things an embroiderer ever has to do. Some customers have certain colors they absolutely love and which must be matched. Certain designs require certain colors to look their best and variations in shade could change the entire look of the finished piece. Many embroiderers have stock thread cards which they show customers when an order is placed, and changing thread suppliers may require that the stock card be redone as well. It can be a time consuming and laborious process. 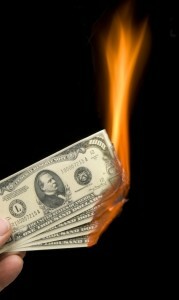 EnMart understand the pain of this process because our parent company has been through it. In the 36 years that Ensign Emblem has been in business, the company has switched thread suppliers more than once. 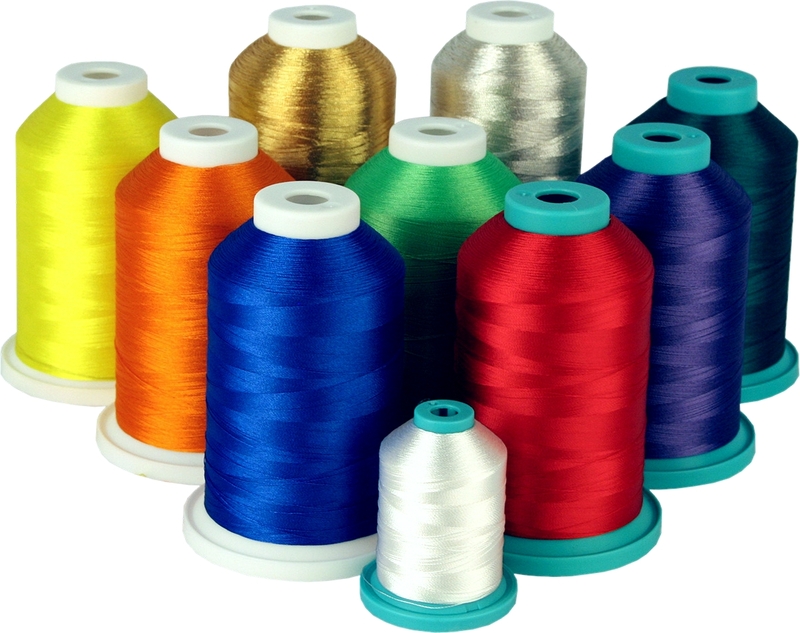 We have experienced the chaos that changing thread suppliers can cause, and we wanted to do everything possible to eliminate that stress for our customers. One way that we are eliminating that stress is with our thread cross reference engine. Our color matching experts went through and matched our Iris thread colors with the colors of other thread brands. Our conversion engine has thread color conversions for Madeira, Robison-Anton, Gunold and Isacord polyester and for Madeira, Robison-Anton, Sulky and Melco Rayon to Iris polyester. While we can’t promise that all these matches are exact, they are as close as we could make them. Our thread cross reference engine also offers conversions through Pantone numbers. If you have a Pantone PMS number, you can use it to find the matching Iris Polyester thread. You may also download our printed Iris ployester color card in PDF form. Although a printed color card may include variations in color due to printer quality and settings, this color card does include the Pantone numbers. If you can’t find your thread manufacturer in our online cross reference and you don’t have Pantone numbers, you may always ask us to do a specific match. All you have to do is send us a sample of the thread you wish to match. Please do be aware that samples should be more than a few strands for best color match. Once we receive your sample, we’ll do our best to find the closest Iris matching thread color. Thread conversion can be a stressful process, but it doesn’t have to be one. EnMart is ready and willing to help you make the switch to Iris thread. We’re prepared to provide all the support you need to make your conversion as smooth as it can possibly be. March is almost here, and with it comes EnMart’s most extensive trade show schedule ever. We will be at four shows in March, and we hope to be able to see a great many of our customers, fans and friends. If you are thinking of attending a trade show in March, here is a list of where EnMart will be and what we’ll be offering in our booth. 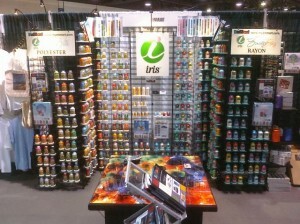 ISS Atlantic City – EnMart will be in booth 432 in Atlantic City. We will be exhibiting the new Ricoh GX e3300N printer, as well as showcasing the wonderful color and shine of our Iris thread. We’ll also have a few new products to debut. 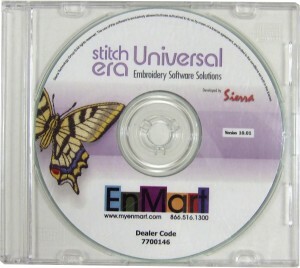 NNEP Embroidery Mart – EnMart has two suites, 326 and 327, in Columbus this year. One will showcase sublimation and ChromaBlast, and the other will highlight Iris thread and other embroidery supplies. 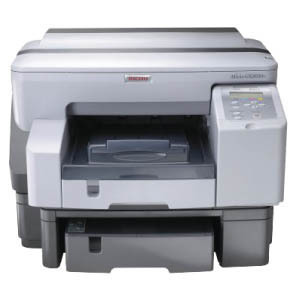 EnMart will be offering our Ricoh GX e3300N printer package at this show. We will also be showcasing our thread palettes in an entirely new way. If you’re an embroiderer who is interested in sublimation, or if you are just looking for a terrific new embroidery thread, stop by and see us at Embroidery Mart. DAX Minneapolis and DAX Kansas City – March is our month for shows in the Midwest. We will be in Minneapolis on March 12-13 and in Kansas City on March 26-27. This is our first year exhibiting at the DAX shows and we are very excited about getting to experience a new show and meeting some new customers. We will be in booth 108 in Minneapolis and booth 408 in Kansas City. Please stop by and see us if you are going to be at either show. We have a great crew working all the booths this year, and I’m even going to be at the NNEP show in Columbus. Please stop by and say hello. We love meeting our customers. For those of you who are new to this series, I have started a weekly post where I spotlight posts that I like from machine embroidery blogs that I read. I am always looking for new machine embroidery blogs, so if you have one, please do let me know about it. The first post in this weeks round up isn’t necessarily about machine embroidery, but it does feature an absolutely adorable black lab puppy, so I think we can forgive the lack of embroidery chat. The puppy’s name is Jack and he belongs to Angie from AKDesigns Boutique. I grew up with a black lab, so I’m a sucker for these adorable and sweet natured dogs. It looks like Jack is a keeper. Next up is your weekly dose of Erich Campbell. I’m a huge booster of Erich and the blogs he writes. He’s a great writer and embroiderer and has a lot of knowledge to share. This week, I want to recommend that everyone who owns an embroidery business read his “Embroiderer, Decorate Thyself” post. I totally agree with his recommendation that everyone who works for an embroidery company should wear samples of the work the company creates. 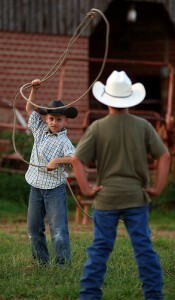 Your employees and the clothing they wear can be your best sales tool. Another great post that everyone should read this week is from the Fashion Incubator blog. The tips are aimed at those who might be thinking of becoming freelance designers, but a lot are equally applicable to those who run their own businesses. Things like calculating your hourly rate, dealing with travel expenses and paying for health insurance are issues all business owners face, and this post can give you some solutions for these potential problems. Finally, the blog Sadia Sews features some gorgeous Kashmiri designs. I’m especially coveting the gorgeous shawl. These designs are meant for machine embroidery and, according to Sadia, sew out quite quickly. I also love the lace that Sadia is creating. I have some lace doilies that my grandmother made and they are some of my most prized posessions. I can just imagine some woman in the future treasuring the lace featured in this blog post. I’m a big fan of reading the work of others, and I read a lot! I try to spend at least a small part of each day making the rounds of our blogroll and my blog bookmark list reading what others have to say. I always find at least one nugget of information that is helpful. Today I thought I’d share a few of the fun and interesting things that I’ve found over the past few weeks. Depending on the response I get to this post, I may make the Friday Blog Round – Up a regular feature. First let’s start with two from Erich Cambell. He is the author of the Black Duck Blog and the blog “On Links and Needles” which he writes for Stitches Magazine. On the Black Duck Blog, he has a great post about the handshake distance and how it can be used to maximize the impact of your logowear. On Links and Needles has a great post called The Chisel vs. the Silver Bullet which deals with the fact that technology won’t always be the magical cure for all the issues your business faces. Both these posts, and these blogs are well worth reading. Second, let’s move on to the NNEP blog. If you’re an embroiderer, you really should consider joining the National Network of Embroidery Professionals. EnMart is a supplier member. 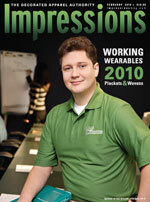 They’re a great organization, and they offer some great trade shows, seminars and help to their members. Currently they have a cute post on their blog about how the office cats spent a snowy winter day. Those cats are adorable, and I’m right with the one who thinks that a cold winter day is a perfect time for a nap. Third, let’s continue our pet theme with the Urban Threads blog. They have a great series on their blog called “Crafty Mascots“, where they show pictures of the pets of people who embroider and create other artistic projects. A lot of these pets, o.k. maybe not the iguana, are seriously cute. This blog also features great tutorials and cool designs. Personally, I love their design sensibility, it is unique and I think the designs are a lot of fun. Finally, just in time for Valentine’s Day, we have the 10 sexiest Valentine’s Day Promotional Products. Some of these I might not mind receiving as a Valentine’s Day gift. Others, for instance the Silhouette Girl Flashing Pin, I’m not so sure about. I’m pretty sure I’d feel the same way, even if it were a Silhouette Guy Flashing Pin. There are some things I just don’t need. Well, that’s a few of the things that stood out to me this week when I made the rounds of the blogosphere. If you know of an embroidery blog that you think we should be reading, please do share the information. You can leave a comment here on the blog, or e-mail me at kristine dot shreve at myenmart dot com and let me know what I should be reading. I know we’ve been talking a lot about sublimation on this blog lately, which is a little odd, since we now have a blog that is devoted entirely to sublimation. I promise that we will get back to embroidery topics soon. Before we do, however, I couldn’t resist mentioning the latest product that EnMart has to offer. I know some embroiderers are already sublimating, or are thinking about getting into sublimation. If you’re in either of those categories, you’ll want to read the rest of this post. Generally I write about sublimation topics on the other EnMart blog, SubliStuff. Every once in a while, though, we have a special or an offer that is so great, I feel like I should share it on both blogs. That’s the case with our latest special. 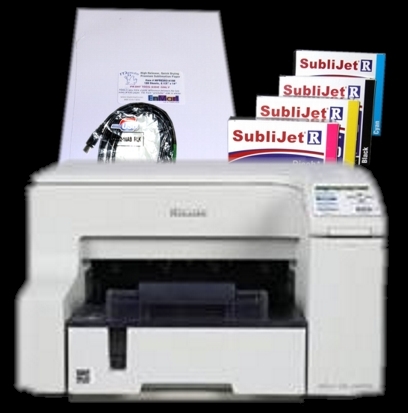 We know that there are a lot of people out there who are looking to get into the sublimation business, or who are already in the business, but want to add an additional system to their shop. We also know that there are many embroiderers that are considering getting into sublimation. That’s why EnMart has put together a Pre-Valentines Day Special on a sublimation printer. This special should not be missed.